August 10, 2017 — New York City. 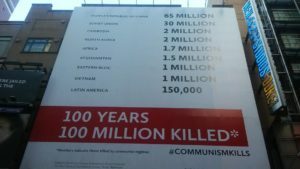 It was a small protest. 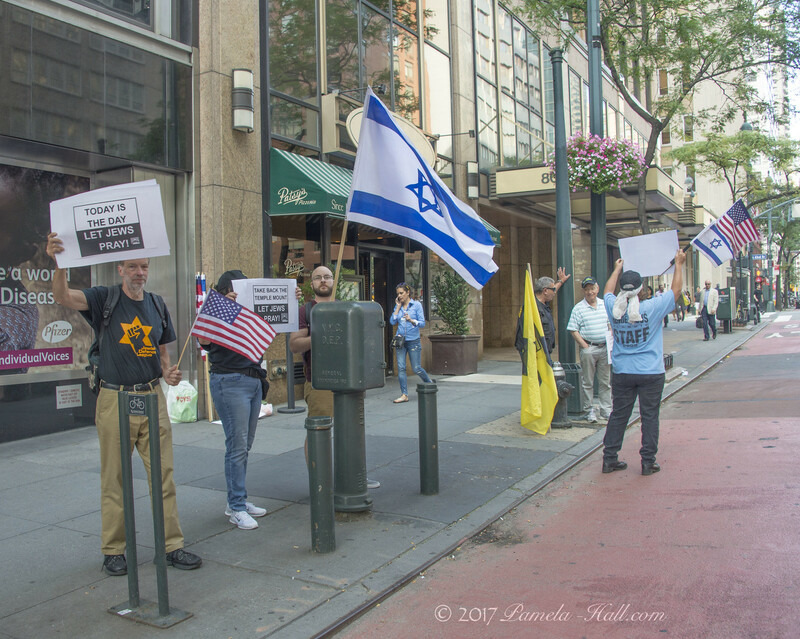 The Jewish Defense League and friends gathered outside the Israeli Consulate to support the right of Jews to pray at the Temple Mount. 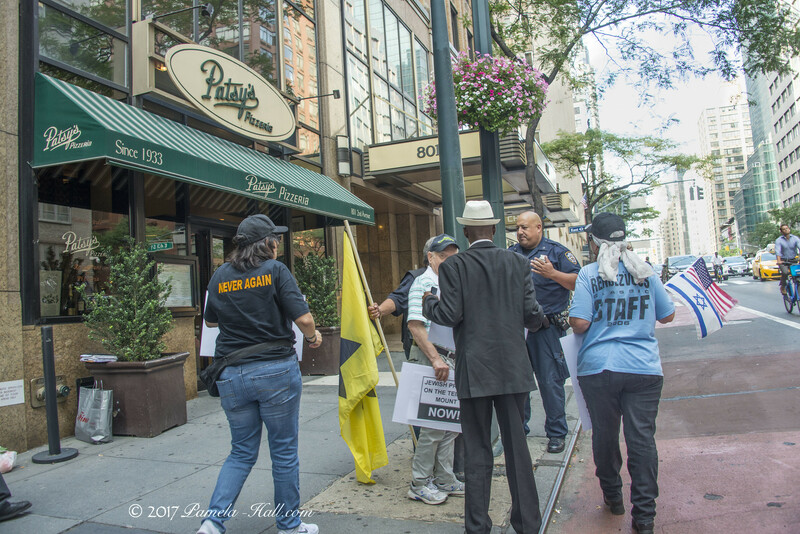 Read more for the official and unofficial reactions to this peaceful rally. Rally Jewish Prayer at Temple Mount NOW! The Temple Mount is ours! 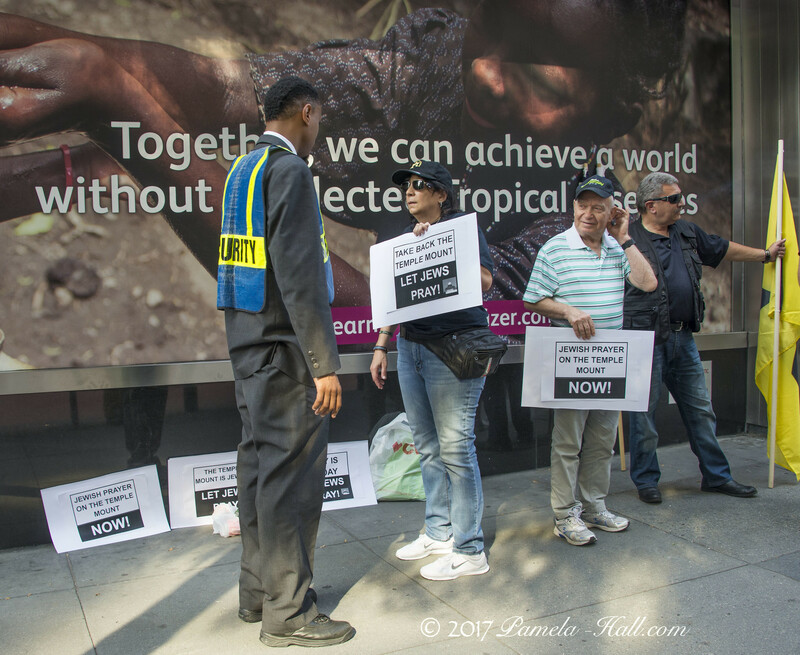 The consulate is very close to the decaying walls of the United Nations. 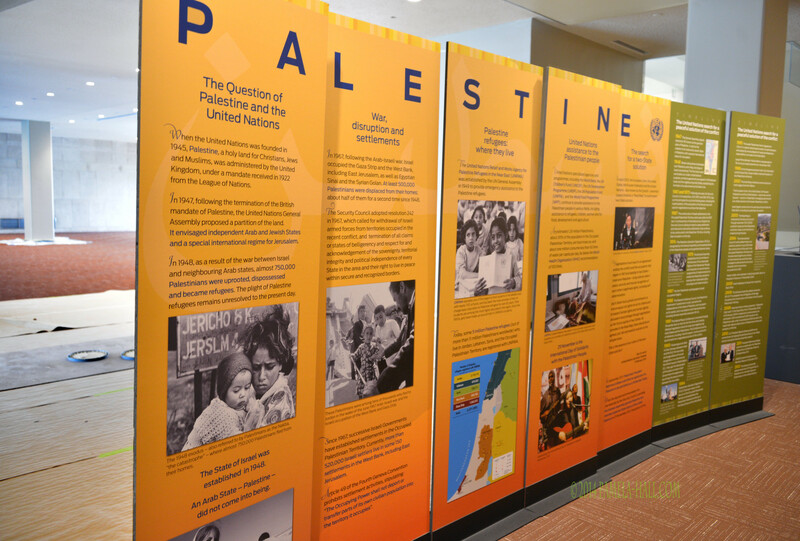 The UN’s blatant anti-Israel bias was revealed with this large display of lies mounted during the “2014 Anti-Semitism Conference”. 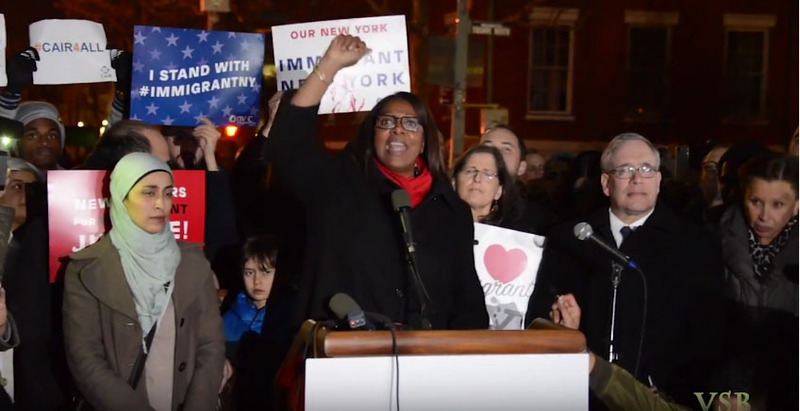 What else could we expect from bureaucrats who hate Judeo-Christian civilization? 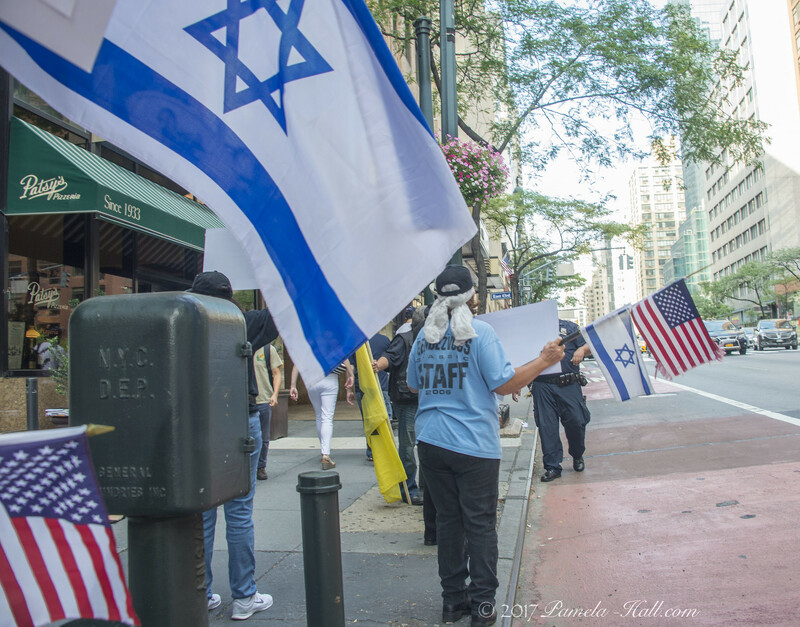 Crossing the avenue to the public sidewalk in front of the Israeli consulate I was told to leave the sidewalk by someone who came from inside the consulate. Him, walking away, shaking his head as I continued to take pictures. 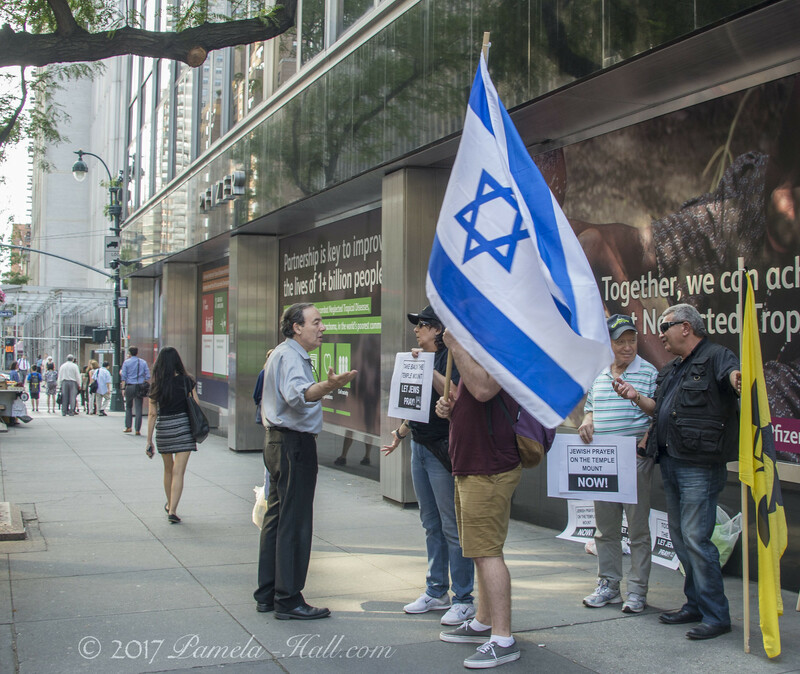 On the plus side, passersby in vehicles and on foot were PLEASED that the “Let The Jews PRAY” had come out in support of Israel and the Temple Mount. 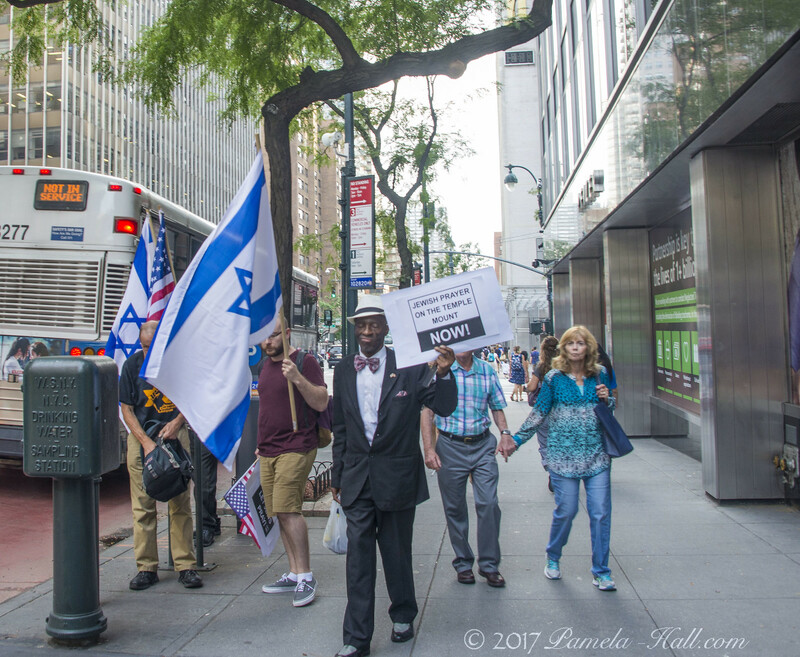 New York is not completely lost to the anti- Israel lobby. 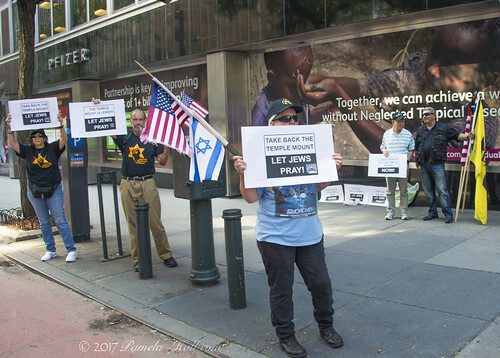 Too bad the residents of the Israeli Consulate didn’t appreciate support when they SAW it. The time is NOW. Jews are being arrested for praying at our holiest site, The Temple Mount. A Jewish man was just given a restraining order forbidding him from going to The Temple Mount because he got married there. The Temple Mount is Jewish. It’s OUR holiest site. 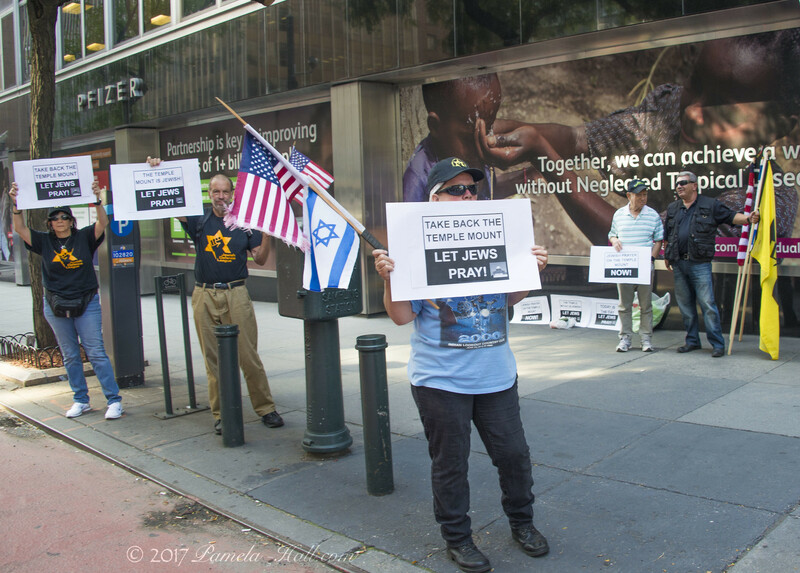 The demand is simple: Israel must immediately abolish the “status quo” and allow Jewish prayer and worship on the Temple Mount. Please join us on Thursday, August 10th at 4:30pm. 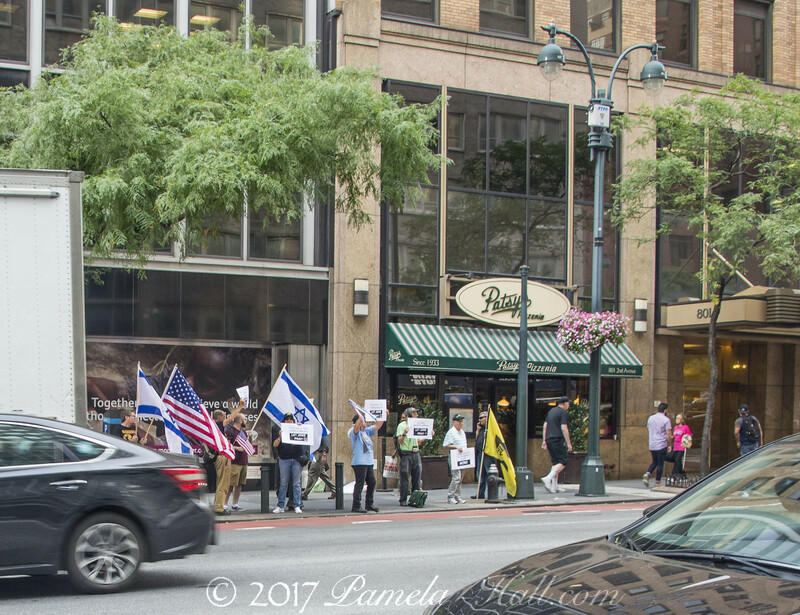 Bring your Israeli flags. Bring American flags. 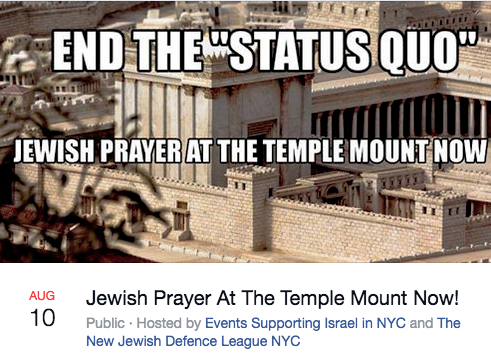 Bring signs demanding to end the “status quo” and allow Jewish prayer at The Temple Mount now. Now is the time! We have waited long enough!! 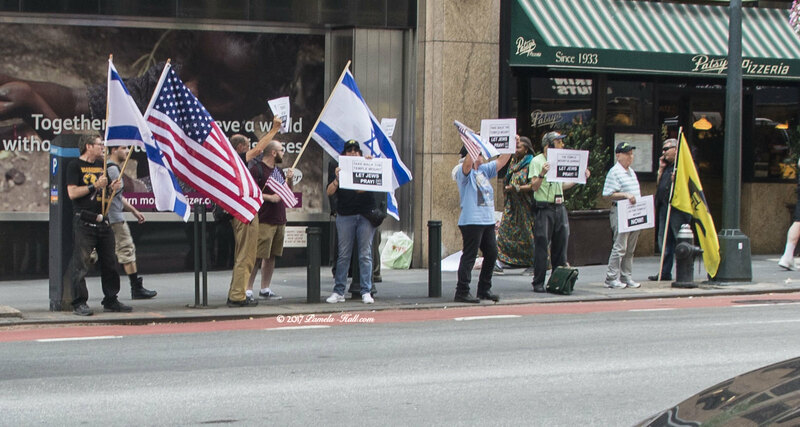 This protest is being held jointly with the phone-in protest hosted by Take Back the Temple Mount. This entry was posted on September 10, 2017 at 4:51 PM and is filed under News. You can follow any responses to this entry through the RSS 2.0 feed.